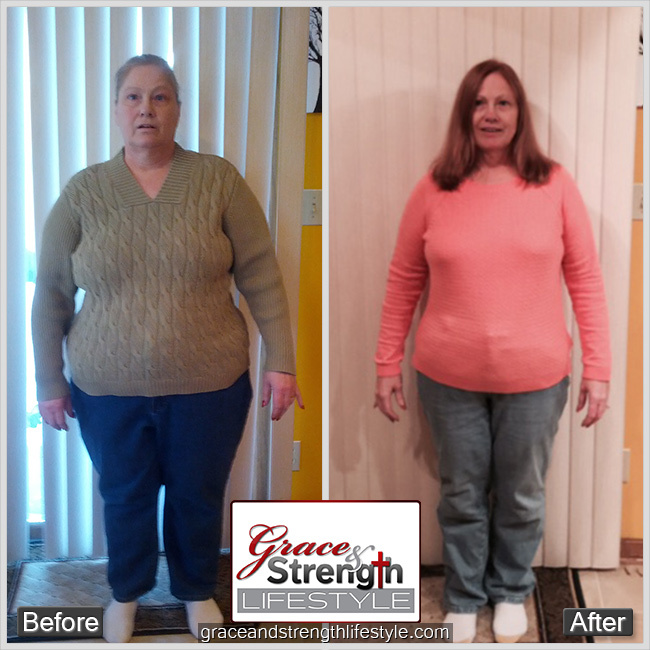 My journey with Grace and Strength Lifestyle began in Feb. In the past I had tried many other diet programs, loose weight, only to gain it all back and then some. But my problem with food was more a heart problem then a head problem. I needed to get my heart right with God so that food would no longer control my life. I needed to learn to go to God when I had problems instead of turning to food to comfort me. Wife and mother of two, Victoria, tried for five years to return to her ‘normal' pre-childbirth weight without any success. 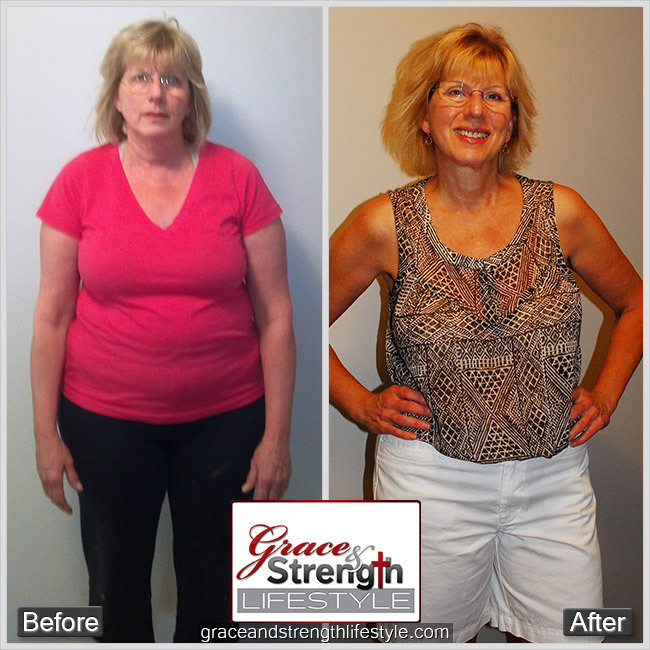 Even with success in the past with weight management and fitness, she just couldn't get those last 20 pounds to go away. ...but then she found the Grace & Strength Lifestyle. 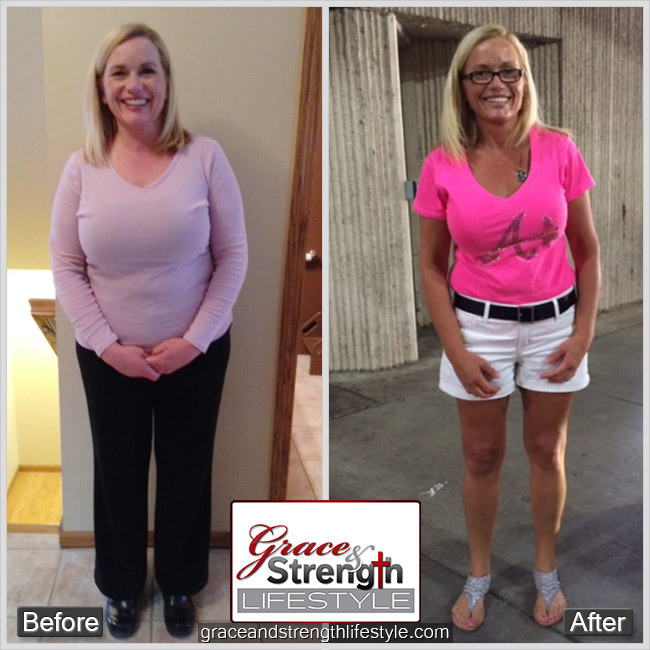 What follows is her story of hope, encouragement, and victory! Thank you for sharing it with us Victoria, and we are so glad you chose us instead of the Tibetan Monks. "A picture tells a thousand words". One glance at my before picture is enough to show anyone that I was one mighty frustrated and unhappy person. Over a period of years I had been slowly but surely gaining weight; five pounds here, two or three there, and yet I was able to look in the mirror and tell myself I didn't look all that bad. When God brought me to Grace and Strength, I was starved to death. I was so broken hearted as a result of my divorce that my walk with God ended. God did not quit walking but I did. I spent many days and even more nights face down on my bedroom closet floor in despair (I could feel the carpet fibers in my nose). Even with that inconsolable heartache, I always found my way to the kitchen or through the drive thru. I was gaining weight for past few years and the more I stressed on the more I put on. 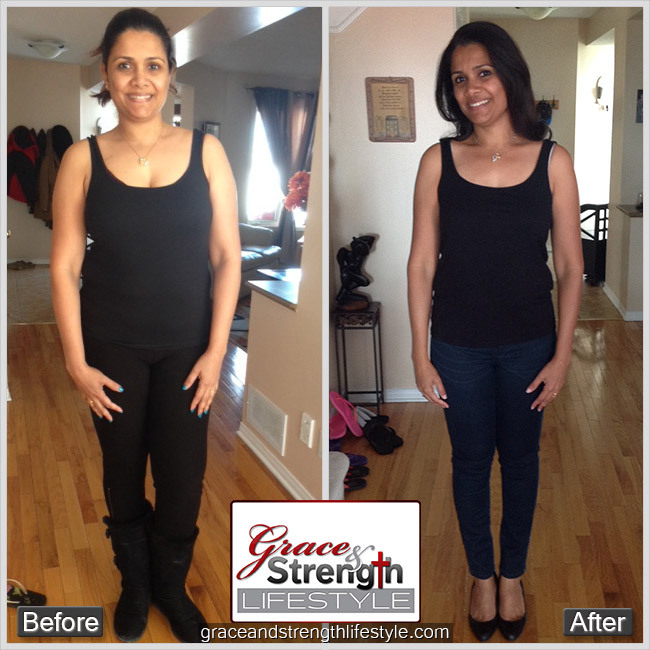 Due to my joint pain it was getting difficult in my movements and I always wanted to lose weight but didn't know how. Around that time I met my friend and she lost around 45KG and I was very impressed. She asked me to read the testimony on the grace and strength website. After reading I knew God is leading me to this.